Click the image to see our full guest list so far and get your 3 day passes! RICO’S PICK :: HOLE OF TANK GIRL: SLIPCASED HC COLLECTION: This books collects all the original Jamie Hewlett and Alan Martin Tank Girl comics. 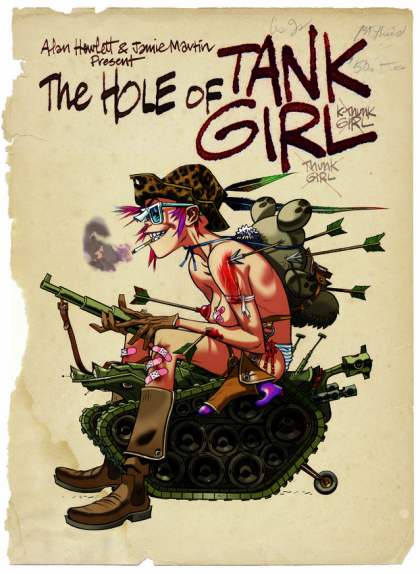 It also includes tons of extras like sketch pages, a lost Tank Girl Story and the first new Hewlett Tank Girl art in over 15 years!